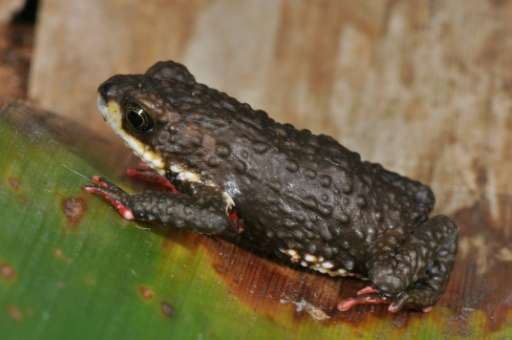 "The great importance of this discovery is that this forest serves as an incubator for the origin of species," said Marcos Bornschein, a researcher with the Federal University of Parana, who helped identify the creatures. "It's a laboratory of huge importance for the mapping and conserving and understanding of biological processes," he said. The Atlantic forest once covered most of Brazil's coastline, but only eight percent has been preserved. Most of the country's 204 million people live along the coast. "They are not dangerous to humans," Bornschein said. "During the fieldwork, some researchers felt a numbing in their finger ends after touching them, but nothing more." 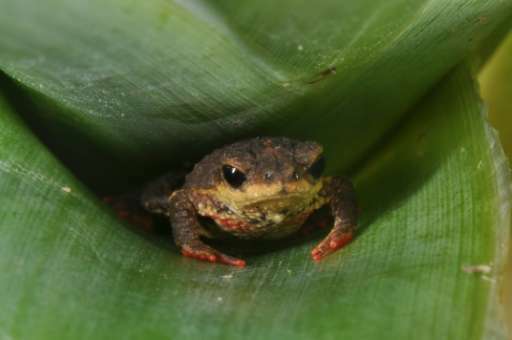 The article said that the discovery of the toads in a fairly restricted geographical area—they were found between the cities of Garuva and Blumenau, about 100 kilometers (60 miles) apart—suggested that the species "might be severely underestimated." But it added that the "status of these species is of particular concern, given that one of them is at risk of extinction."